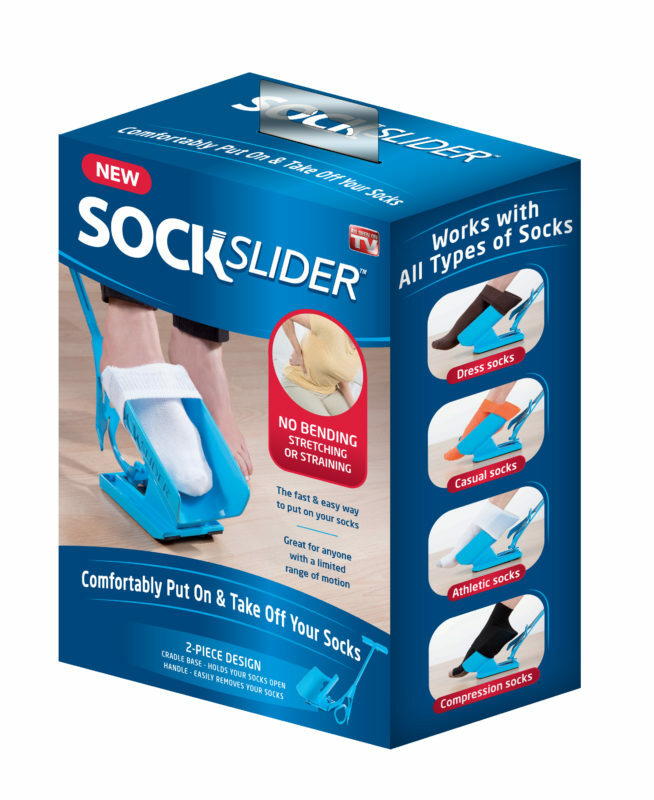 The Sock Slider™ System consists of the sock cradle and a long handle that will help you slide your socks on without bending over, twisting or turning. The handle will also help you take your socks off when you’re done wearing them and help you hold your shoes in place while you put them on. This system works with any type of sock, regardless of whether you choose dress socks, casual ones, athletic ones, or even compression socks.